Holidays Lights and Where to Find Them! The festive season is here and Christmas lights are going up and ready to be seen through out the DFW area. Where to find the best Christmas lights near me Dallas. Take a drive or a walk through one of the many holiday light displays across the DFW area listed below. 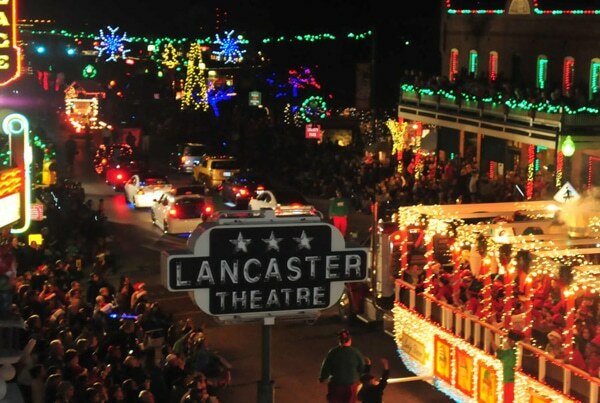 Christmas in the Square in Frisco – Christmas in the Square draws over 750,000 visitors annually. Families, friends and holiday guests from all over come and enjoy the spectacular show. 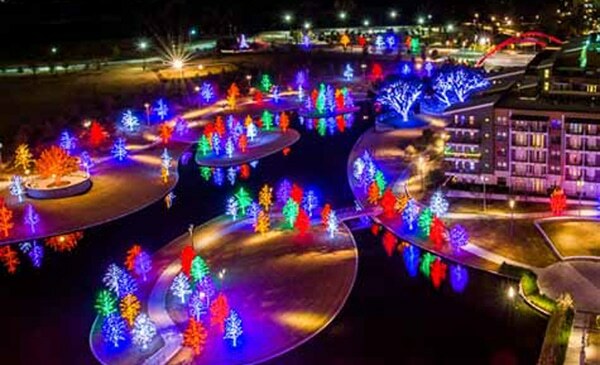 Tour of Lights in Farmers Branch – The Tour of Lights is a drive-thru animated display that will amaze you with over 500,000 twinkling lights. You’ll travel through a variety of different scenes, each with their own theme, from fantasy to patriotic. 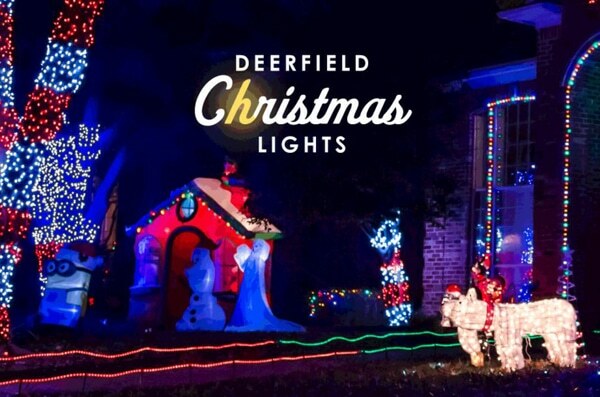 Deerfield Holiday Lights in Plano – Drive through this famous Plano neighborhood in December for a spectacular holiday lights display. The Christmas Tree in Highland Park – The Town of Highland Park will hold the annual Tree Lighting Ceremony for the “Big Pecan Tree” on Armstrong Parkway, just west of Preston Road, on Thursday, December 7, 2017, at 6:00 p.m. 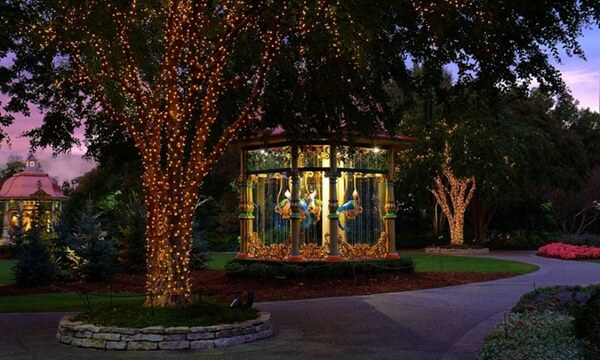 The 12 Days of Christmas at the Dallas Arboretum – Celebrate the most wonderful time of the year with Holiday at the Arboretum, featuring the return of the magnificent The 12 Days of Christmas outdoor exhibit, open every weekend for the first time ever. 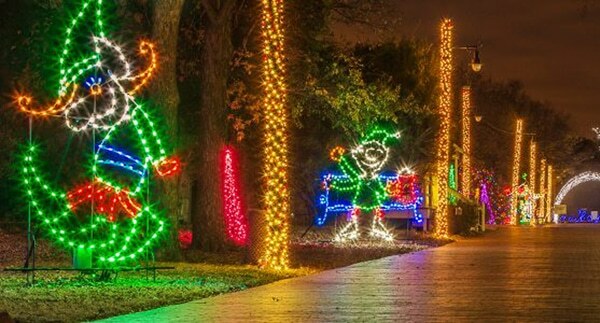 Prairie Lights in Grand Prairie – Prairie Lights is the premier holiday light park in Texas located at Lynn Creek Park on Joe Pool Lake in Grand Prairie, Texas. 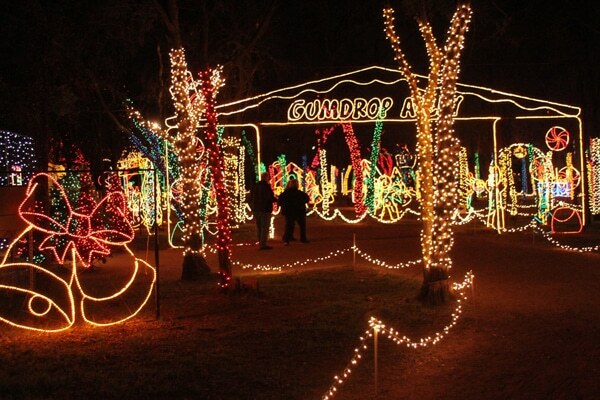 Interlochen Lights in Arlington – The Lights at Interlochen “Texas Best” Christmas Lights (as voted by the viewers of the Texas Country Reporter TV Show) are always free to see. 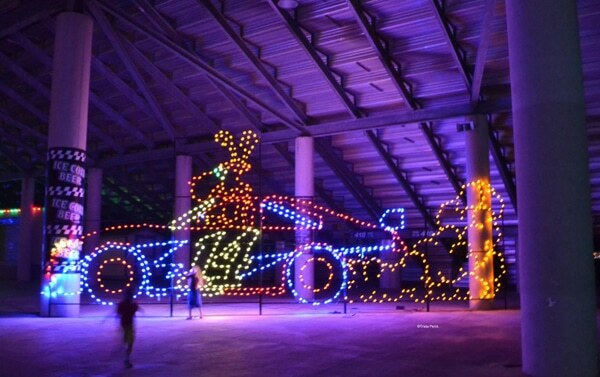 Gift of Lights at Texas Motor Speedway – Welcome to the only Texas-sized Drive Thru light park at the largest speedway in Texas! There is always something new for everyone in the family to enjoy! Grapevine Parade if Lights – It will be a memorable winter wonderland this Christmas in Historic Grapevine, Texas. Grapevine is the essence of holiday décor as the city becomes blanketed with millions of lights, enormous decorations and a whole lot more! With all of this plus great shopping for everyone on your list. The walking trail that surrounds a small, man-made lake in this corner of Addison has lights pretty much everywhere you look inVitruvian Park. Every tree is filled with bright, luminescent bulbs that turn your walk in the park into a holiday wonderland minus the below freezing temperatures and blinding snowstorm. It’s like walking through a brightly lit forest where the flora and fauna are made out of neon lights. This neighborhood light display is one of the most visited North Texas attractions at Christmas time. All of the buildings along Frisco’s downtown square are covered in holiday lights that are synced to music that’s broadcast on a local radio frequency so you can watch the lights dance to your favorite holiday tunes as you drive past them. 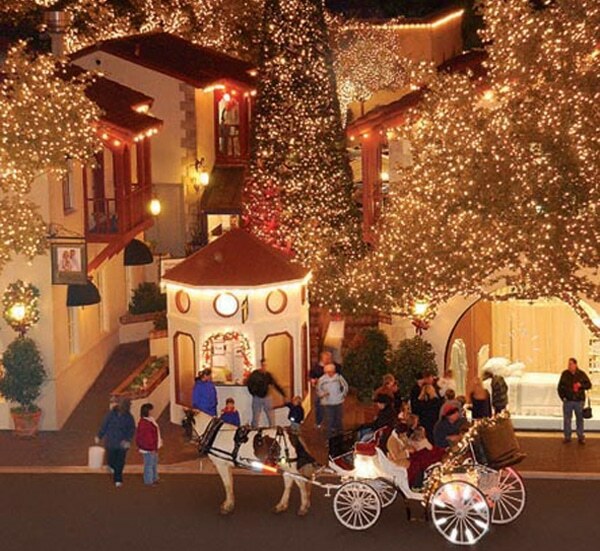 When you’re done marveling at the lights, you can go for a calm horse carriage ride or take a run around an ice rink. What happens when a whole community of volunteers come together to make sure that everyone who visits their little corner of the world has a happy holiday? It looks something like this drive-thru holiday scene. 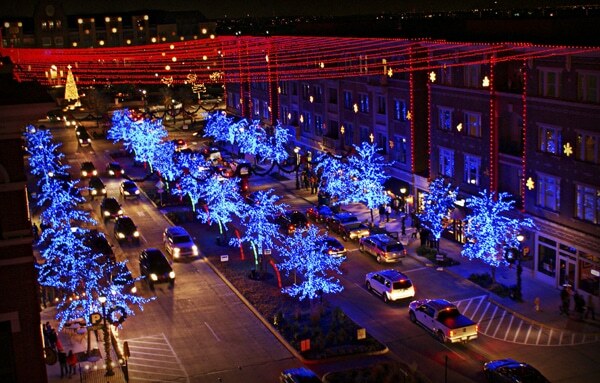 The Prairie Lights has over 4 million holiday lights covering trees and displays of familiar holiday scenes in one of the most beautiful 45-minute drives you can take in Dallas this time of year. Grand Prairie’s holiday celebration also offers an indoor laser show, a lighted walking tour and a chance to get your photo taken with Santa Claus. Usually, the sounds of roaring engines and screaming fans can be heard from the famous Texas Motor Speedway in Fort Worth. However, around Christmastime, it’s a little quieter but it’s still just as bright thanks to the annual Gift of Lights display. Visitors can drive through one of the area’s largest holiday light displays and then stop in and visit with Santa at Santa’s Village. The Dallas Arboretum’s annual holiday event doesn’t just happen at night. During the day, visitors can tour the grounds and meet famous Christmas characters or listen to live performances of beloved Christmas carols. Then at night, the lights go up and illuminate visitors’ path along a three-quarter-mile walk through several beautiful holiday displays. Maybe you don’t feel like taking a walk when the temperature just dropped 30 degrees in the span of a Saturday afternoon. Then head over to Farmers Branch where you can enjoy the annual Tour of Lights from the warm comfort of your own car. This driving tour features some of the biggest animated light displays in all of DFW that are tuned to festive holiday music that you can play on your car’s radio. If you don’t mind stretching your legs, take a tour of this familiar sight in Highland Park during the holidays. Just before the month of December, the city of Highland Park covers its famous Big Pecan Tree with lights and flips the switch. The lights go back on every night until New Year’s and you can often see carolers under the tree as they entertain the public with festive holiday tunes. If you want to have your own personal Christmas lights for your home and share the beauty with your neighborhood. Call upon Ryno Lawn Care to install and setup Christmas lights for your home. Uh-oh! Seems I got to this post late – after the Christmas season. But I didn’t miss a lot. During the Christmas season, my family and I went to Grand Prairie where we enjoyed the Prairie lights which are over 4 million. In fact, it was a swashbuckling experience for us. My kids can’t wait to visit there again. The next time I’m in this area I will check out some of these sites. Anyone see that show on ABC where they have a contest for the best Christmas decorations? I believe they give $50,000 to the winner (which probably isn’t much because I imagine the electricity bills for some of these home displays are astronomical). I love Christmas lights and one of my favorite devices are those new projection lights. They can be expensive (depending on how elaborate you want them to be). However, I like them because they give people a chance to make their home look nice, without spending a lot of time decorating.